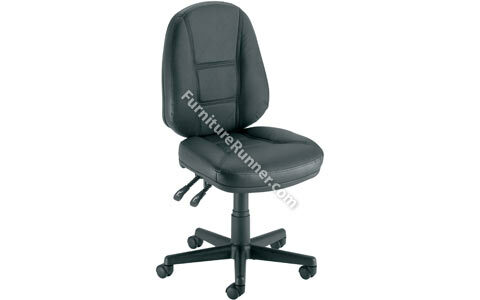 A comfortable leather-faced functional executive armchair with a variety of features for every need. The perfect complement to your office desk. Features include full height back, deep cushions, supple soft-touch leather, attractive panel stitching and a fixed or rocking tilt action.